As stated in a recent industry publication, the goalposts for the life insurance industry are shifting, driven in part by the expectations of the next generation of customers who represent an enormous area of growth for new policies that will be issued over the next 25 years. 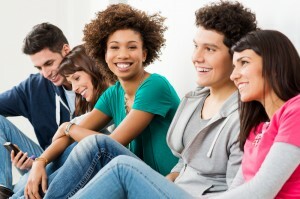 While they will continue to be awoken to the need and importance of life insurance by the same traditional key life events—marriage, having children, family health scares—their expectations of how the industry will help them understand coverage options, and experience getting coverage in place is markedly different to their parents’ expectations and experiences. Life insurance marketers are scrambling to understand the Millennial audience, its expectations, needs and preferences. As mentioned in our previous post, traditional consumer research often falls short when it comes to uncovering true, actionable insights. What insurance marketers are clamoring for are findings that will show them exactly what to say to Millennials, and how and where to say it. If you would like to know how to develop marketing that reaches the SOUL of the Millennial consumer, request our free ebook today. Mimicking industry ads and refreshing previous controls won’t dramatically lift results or set you apart from your competition. The historic decline in sales shows there is a mismatch between what life insurance marketers are saying and what consumers want to hear. Yet in this environment, some insurance marketers are generating breakthrough results. How? The key is to shift the thinking from the selling process to the buying process. When you shift your focus from the selling process to the buying process, you start to think more like a buyer. You put yourselves in your customers’ shoes. Understand the context of their lives, their aspirations and their goals and you will be better equipped to show them how you can help them. We have seen time and again that insurance marketers who know how to leverage deep consumer insights can successfully market even the most challenging products. At Bodden Partners we use a custom process is designed so that consumers actually help you help them. By correctly translating the research insights into marketing, we let your prospects tell us what to say and do in order to sell them the products they need at the time they need it. Curious? Our new report, There Has Never Been a Better Time to Market Insurance, details the dramatic results insurance marketers are having with this approach. Request your copy today. Rural hospitals are the unsung heroes of patient care in the community. 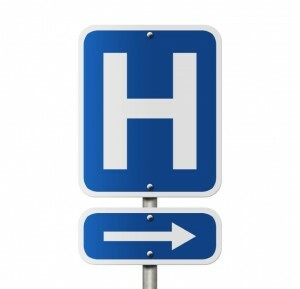 Yet the survival of rural hospitals is now in doubt, in large part because many rural residents are choosing to bypass their local hospital in favor of larger urban hospitals. Our direct marketing team added another trophy to the shelf at this year’s Professional Insurance Marketing Association (PIMA) Marketing Methods competition. The annual contest highlights the best work in the insurance marketing industry and recognizes excellence in marketing strategy, creative strategy and results. We are particularly proud of our entry for the NEA Members Insurance Trust. Their AD&D offering is a mature product that has been marketed through stand alone direct mail for decades. The typical buyer is a member who has been with the NEA for several years. Given their repeated exposure to the same product, a large part of our challenge was to change the dynamic of how is product is sold, without increasing the budget or using any additional marketing channels. Our experienced team of insurance marketers completely re-engineered the marketing strategy, sales approach and creative design to arrest attention, engage the member with a deeper level with a greater sense of urgency. The results were unprecedented in NEA’s history. Using the same budget as the previous control, we were able to nearly triple both response and conversion. Our own Barbara Stroup is featured in a new promotional video for the Atlanta Convention Center at AmericasMart, the city’s meetings and event facility. The venue offers a total of up to 800,000 square feet (100,000 sq ft contiguous) of space and a leadership team with more than 50 years’ experience in tradeshow management. The Convention Center offers trade show managers and general contractors the flexibility to bring in any of current vendor relationships or select the extensive list of the Convention Center’s recommended suppliers. The employee benefits marketplace is quietly undergoing one of the largest transitions in recent history. A small but quickly growing number of companies are shifting from traditional healthcare coverage to private healthcare exchanges. Private exchanges appeal to employers because they make it easier to predict and control healthcare costs. According to a recent survey by Towers Watson, the average annual cost of coverage for both employers and workers was $12,535 in 2013. Employees are paying almost a quarter of the cost with employees funding the balance. Under the private exchange arrangement, employers gain more control over costs by contributing a fixed amount or “defined contribution” toward employee health coverage. Workers use those funds to shop for and subsidize coverage within the plans available to them. The concept is proving popular with employers and employees alike. IBM and Time Warner recently said they are moving retirees to exchanges for those not yet Medicare-eligible and other exchanges for those who are. When Walgreens made private healthcare exchanges available this year 120,000 eligible employees opted for coverage for themselves and 40,000 family members. Once limited to two healthcare options, Walgreens workers now have a choice of as many as 25 plans from five insurers. Interest in private exchanges is booming. According to a recent study by the Private Exchange Evaluation Collaborative, 45% of employers have either implemented or plan to consider private exchanges for active, full-time employees before 2018. What are employers looking for in a private exchange? 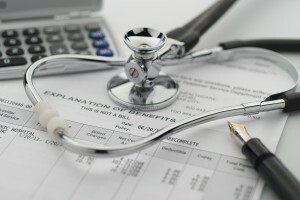 What are employee attitudes toward private healthcare exchanges? What lessons can be drawn from the federal and state experiences with creating a health insurance marketplace? What implications do private exchanges have for the voluntary benefits market? These topics will be discussed in future editions of this blog. We invite you to join in and follow the discussion. 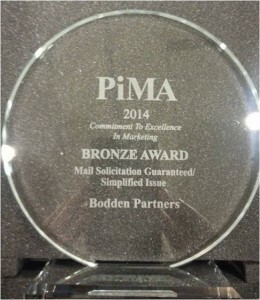 ExpoPlus, a Bodden Partners company, has been selected to manage the Technology Services Industry Association Expo. The Technology Services World Expo is the premier event for technology companies in the service industry. TSIA represents the world’s top technology companies in enterprise IT, telecom, consumer technologies, healthcare IT and industrial automation. Some of this year’s exhibitors include global technology companies such as ANCILE Solutions, Changepoint, LivePerson, and Cognizant. The Expo and Conference is being held at the Santa Clara Convention Center in the Silicon Valley and runs from May 5-7. According to recent data from the American Hospital Association, 42% of US hospitals have telehealth capabilities. The AHA survey probed which types of hospitals are the most likely to implement telehealth and why. The findings have direct implications to vendors and service providers who are trying to prioritize their targeting and marketing strategies. According to the survey, rates of telehealth adoption are influenced by a variety of strategic considerations. For example, rural hospitals face unique challenges that telehealth can help them to overcome. Additionally rural hospitals have access to federal funds to improve care accessibility, and as a result they may be more likely to provide telehealth than hospitals in some urban areas. Teaching hospitals equipped with advanced medical technology, hospitals that are part of a larger health system and nonprofits also have higher rates of telehealth adoption, possibly because the technology offers a way to deliver a full range of services to patients from any location, increasing access as well as revenue. The study also found that hospitals in more competitive markets may be adopting telehealth as a way to distinguish themselves from their competitors. One of the key strategic factors influencing the decision to adopt telehealth is state policies. The survey found that policies that promote private payer reimbursement for telehealth are associated with greater likelihood of telehealth adoption, while policies that require out-of-state providers to have a special license to provide telehealth services reduce the likelihood of adoption. According to a recent forecast by IBISWorld, revenue in the telehealth services industry is expected to increase by an annualized 30% to $320.2 million in the next five years, including revenue growth of 23% in 2014. As service providers and marketers pursue the hospital segment, they do well to keep in mind that telehealth adoption is shaped by the perceived strategic advantages that telehealth offers hospitals. The marketers most likely to succeed will be those who leverage these insights to create compelling and distinctive marketing strategies. In our last post we discussed why rural hospitals are such a vital lifeline to the communities they serve. Both rural elderly and their caregivers heavily depend upon rural hospitals. Yet rural hospitals do not have it easy. They face unique challenges due to geographic isolation, recruitment challenges, limited workforce and constrained financial resources. Compounding these issues, rural Americans have lower incomes and tend to have less medical coverage or none at all. They are on average older and less healthy than Americans living in urban areas. Nearly half of rural residents report having at least one major chronic illness. 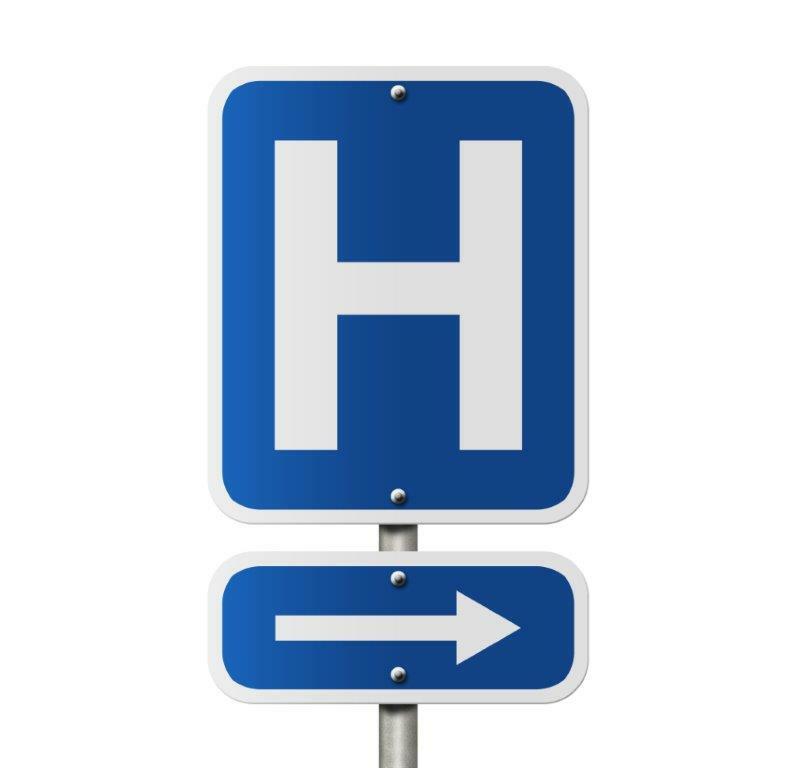 According to American Hospital Association research, rural hospitals are typically much smaller than their urban and suburban counterparts. Nearly half have 25 or fewer beds. Despite a smaller size and smaller base of patients, rural hospitals still have to maintain a broad range of basic services and purchase much of the same equipment as larger hospitals in order to meet the health care needs of their communities. Yet with fewer patients over which to spread fixed expenses, the overhead for rural hospitals is higher. How are rural hospitals meeting the challenge? Telemedicine has become an essential means for rural hospitals to improve the quality of patient care and their own bottom line. The American Telemedicine Association defines telemedicine as the use of medical information exchanged from one site to another via electronic communications to improve a patient’s clinical health status. In a future post we will discuss how telemedicine is transforming healthcare delivery and some of the positive impacts it is having on rural health.